Your One Source for Real Estate! Meet Tony Paone, who previously worked as a Business Owner and Sales Manager in Technology based companies, as well as a Project Manager in Commercial and Industrial Corporations. His career in real estate started several years ago managing, purchasing, renovating and selling properties. With his extensive knowledge of sales and construction of commercial, residential properties, and business brokerage he is able to provide his clients and customers a One Source solution for all your Real Estate needs. 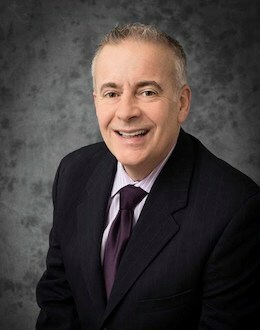 His several years of experience in Sales and Project Management developed a well-rounded skill set that can provide the highest level of Customer Service, and a unique approach that many REALTORS® do not possess. These attributes will benefit his clients with their search for a new home, sale of their house, business brokerage, purchase, sales and or leasing of commercial properties. As a member of the New York State Commercial Association of REALTORS® and Greater Syracuse Association of REALTORS® and part of the best real estate training organization RE/MAX ONE, Tony receives continuing education and training. This training enables him to assist you with your next major purchase, sale, or leasing of a property. He is also a member of the National Association of REALTORS® and can provide you with Relocation Assistance to anywhere in the United States. With Tony's technology experience and training he provides you with the highest level of technology in assisting you with your real estate transaction. By utilizing Tony's energy and ability to provide a One Source approach and RE/MAX ONE standing as Central New York's #1 Real Estate Choice, you are receiving the best possible Real Estate experience! Find great commercial properties in the Central New York area. Browse a great variety of excellent luxury homes and find the perfect one for you. If you need help finding a home, contact me and I can help you find it for FREE.